Big box stores (you know who you are) may dominate the retail landscape (sigh) these days, but there are still plenty of old-school mom and pop shops in Boston that have stood the test of time. And the strip malls. So that you can shop for one-of-a-kind gifts (and provincial charm) this holiday season, we rounded up 10 of Boston’s oldest stores that make and sell everything from handmade chocolates to ultra-rare books. For 90 years and four generations (it’s Boston’s oldest chocolatier), the good folks at the Wonka-like Phillips Candy House have kept chocoholics happy with their small-batch masterpieces. All of their confections are made by hand with fresh ingredients and... wait for it... no preservatives. (Gasp!) 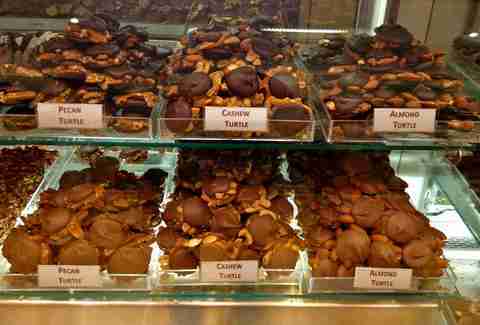 Their gourmet hits include the oh-so-chewy turtles, olde fashioned fudge, almond buttercrunch, and pecan rolls. The Phillips crew gets crafty during the holidays with seasonal goodies like house-made chocolate Santas at Christmas and “Peeps in a Puddle” at Easter. Tucked away on Bromfield Street is the unassuming Bromfield Pen Shop, a place where Rons (Swanson AND Burgundy) could spend days amidst all the man-gear. 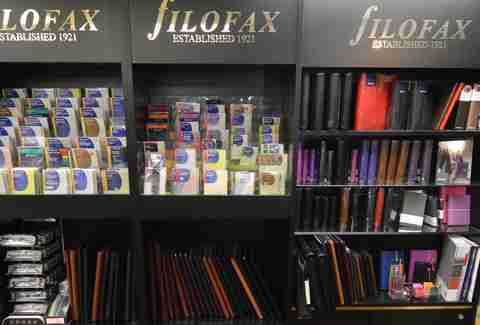 They have over 40 brands of pens (instruments used to write on paper, for our younger readers) in stock, ranging from cheap disposables to vintage collectables. (They even have a pen repair expert.) The friendly staff will help you through the vast collection of writing instruments, business accessories, leather goods, and watches... basically anything that looks appropriate perched on your mahogany desk. Because you’re the boss. 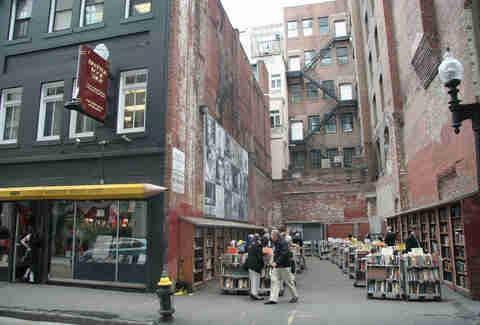 Boston has always been a city of learning, and Brattle Book Shop has been along for most of the ride. Founded in 1825 in the Cornhill section of town, the jam-packed shelves contain over 250,000 books, maps, and pretty much everything else in print. In fact, it’s one of the largest antiquarian book shops in the country, and they stock it all: used hardbacks and paperbacks, out-of-print items, first editions, leather-bound volumes, and other collectibles for bookworms. 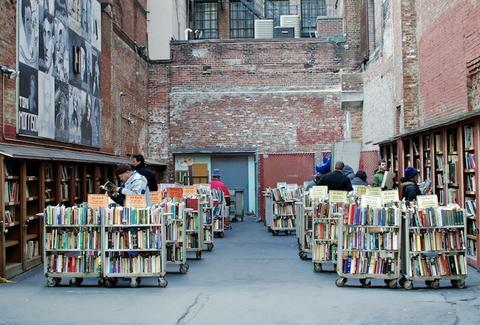 The outside sales lot in the alley is a treasure trove that will keep you browsing for hours. And you will. Vicenza and Ernesto Cirace emigrated to the US from Salerno and immediately opened their now famous North End store in 1906. It started as a wholesale retail grocery and tobacco shop, and grew into an Italian specialty mecca brimming with treats from “The Boot.” After Prohibition, they were the first business granted a liquor license in Boston, and they sell an excellent assortment of Amaros, limoncellos, and high-end scotches. For noshes, they’ve imported a boatload of comfort foods like dried meats, pastas, confections, marinated vegetables, and sauces. (Can’t decide, go for a gift basket.) They do frequent tastings, so be sure to check their website for upcoming events. 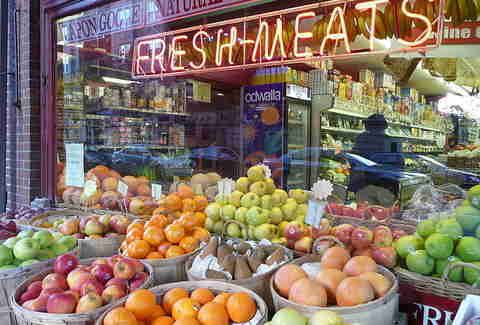 Beacon Hill anchor DeLuca’s Market has been the neighborhood’s go-to spot for fruit and produce for over 110 years, and they’ve been in the same location the ENTIRE time. So that’s cool. At first they carried just the basics, but over the years they added fresh meats, gourmet breads, and cheeses, and liquor to their catalog of consumables. (Even Admiral Byrd and JFK wandered DeLuca’s aisles.) But seriously, you’re there for the meats, like DeLuca’s fresh made lean ground sirloin, sirloin strip NY club steak, and DeLuca’s filet mignon. And then there’s the mind-boggling slate of cheeses, ranging from the French Cave Brillat Savarin to Cahill’s Irish porter cheese. Good luck with the choosing. 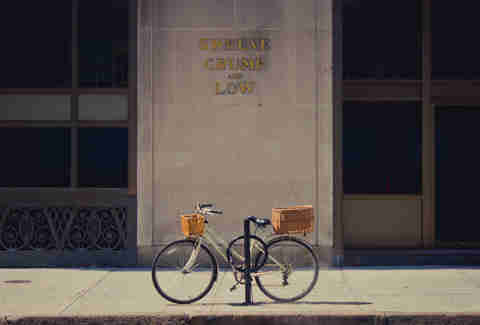 Renowned for their fine jewelry, Boston-themed gifts, and supply of high-end timepieces, Shreve, Crump, & Low set the standard early for showcasing luxury goods. They have plenty of jewels (rare and otherwise) to mark your three-month dating anniversary (or any special occasion, really), plus an array of original gift items such as Gurgling Cods, Boston swan charms, and sterling silver Paul Revere bowls. They get major street cred/bonus points for creating the Cy Young Award trophy (1908) AND The Davis Cup (1899). Yeah, THAT Cy Young Award and THAT Davis Cup. We’re done here. Enjoying an occasional cigar or pipe seems way more dignified when you buy your smoke of choice at L.J. Peretti. They stock a variety of imported tobaccos (e.g. Asltey’s, Escudo, Rattray’s) and over 80 house blends, such as the signature “English,” the brainchild of L.J.’s son Joseph. They also have the exclusive import rights to Peterson pipes and Sullivan & Powell tobaccos, in case that’s your bag. In the cigar department, they carry distinctive brands like Fuente, Davidoff, and Christian Eiroa. Of course, they stock tons of paraphernalia including estate pipes from New England collectors and the latest designs from Eltang, Comoy’s, and Baldo Baldi. 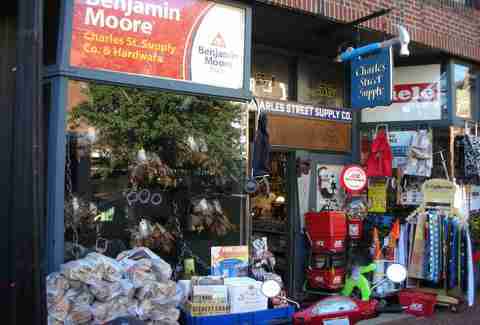 Boston’s oldest hardware store has been assisting locals with their home repair and maintenance needs since 1948, and currently houses over 24,000 tools and DIY products. If they don’t have it, you don’t need it. A drill... check. Light bulbs... check. The perfect shade of paint for your guest bathroom... check. C’mon, what else is there? They’ll even deliver to your door (and assemble anything that needs assembling) or stop by to help you fix broken stuff. Not even kidding. Broken window? No problem, they will come over to fix it. 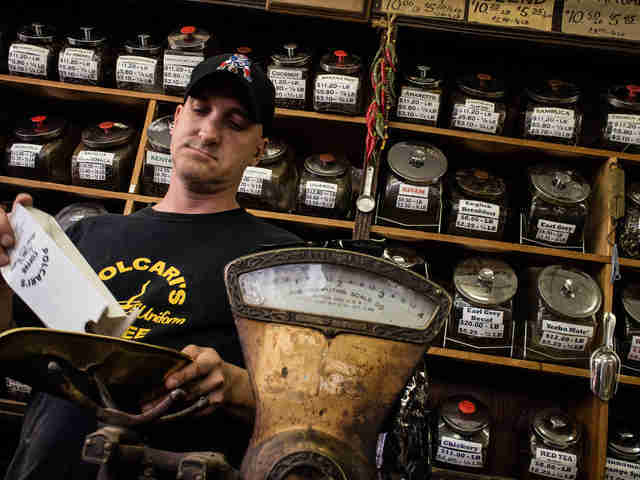 Even though Bobby Eustace, long-time Polcari’s employee, took over the business in 2005, he still maintains the old-world appeal of Polcari’s Coffee. For those who know, it’s more than just a corner coffee shop. It’s a foodie paradise filled with Italian candies and snacks, exotic coffees and teas, spices and herbs, specialty flours, and extracts (over 50) for baking and making liqueurs at home. An absolute “must-buy” is their Famous Dipping Oil Mix, a secret mixture of pepper, garlic, and Italian seasonings that can be added to olive oil or used as a dry rub on meat. You should also get some Polcari’s house blend coffee, a smooth combo of light and dark roast. 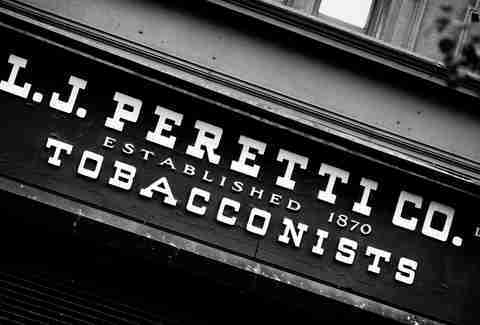 Boston’s other iconic tobacconist, Leavitt & Peirce is steeped in history and firmly cemented in the lore of Harvard Square. For 132 years, it has served as a gathering place for smoking enthusiasts who queue up for the house-blend “Cake Box,” exclusive cigars, and imported accoutrements. 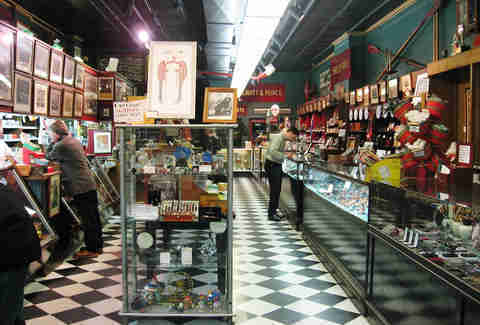 The 100-year-old display cases contain unique wares like antique shaving accessories and other toiletries, hand-made wooden chess sets, and sterling silver flasks. It’s basically one-stop shopping for your man cave. They also have tons of historic Boston, Cambridge, and Harvard memorabilia on the walls, so take some time to soak up the sights while you’re there. By night, Erik Christensen is freelance writer who hits the town. By day, he’s an architect. And by the weekend, he’s a man in need of many naps.